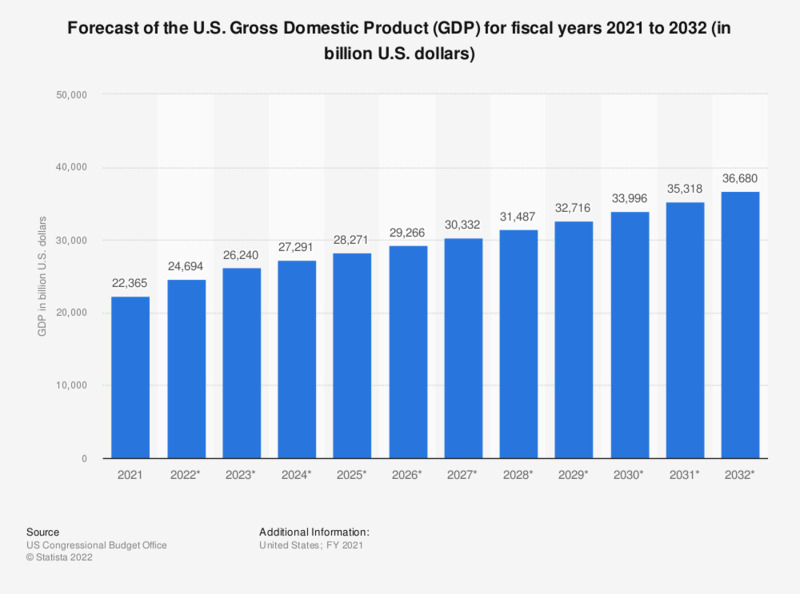 This graph shows a forecast of the Gross Domestic Product of the United States of America for fiscal years 2018 to 2029. The Gross Domestic Product (GDP) refers to the market value of all final goods and services produced within a country in a given period. According to the CBO, the United States GDP will increase steadily over the next decade from 20.23 trillion U.S. dollars in 2018 to 31 trillion U.S. dollars in 2029. The annual GDP of the United States for recent years can be found here . Also, view the monthly inflation rate for the country.